Click on each speaker's profile below to view short bios, relevant credentials and speaking clips. To request a speaker for your event or inquire on availability and pricing, please complete the contact form at the bottom of the page. 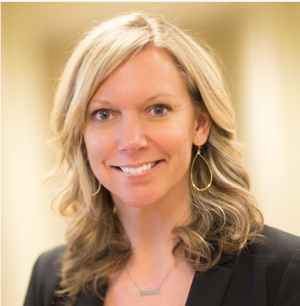 Facilitated by team members of The Beryl Institute, PX Workshops are an opportunity to elevate your professional development strategies on your organizational patient experience journey. To begin exploring the available leadership or staff development opportunities for your organization, simply click on each workshop title for full descriptions and objectives. 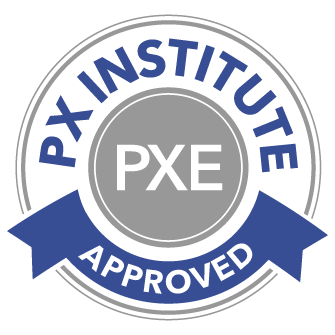 PX Workshops are eligible for Patient Experience Continuing Education credits (PXEs) pending approval. Participants interested in receiving PXEs must attend the entire workshop and complete the workshop survey within 30 days of completion. Partial credits will not be awarded. Thinking about taking the CPXP examination, but unsure where to start your preparation? The Beryl Institute’s Patient Experience (PX) Body of Knowledge faculty offers interactive prep workshops reviewing the four domains outlined in the Certified Patient Experience Professional Classification System on which the CPXP examination is based. The course will share content from the PX Body of Knowledge courses related to the domains and job tasks and provide an opportunity to test your understanding of key concepts. In addition, participants will receive The Beryl Institute's CPXP workbook offering recommendations and important considerations as you develop a personal study plan in preparation for the CPXP examination. *CPXP Prep Courses are currently offered on specific dates listed here. This interactive workshop is an opportunity to provide the course in-person and directly to your organization and employees. Patient Experience matters and remains a top priority globally for healthcare organizations as evidenced by our State of the Patient Experience study. The role of leadership and culture as motivators is a critical component of the integrated effort required to drive clear and measurable outcomes. During this workshop participants will learn a variety of strategies, tools and tactics to lead your team in delivering excellence in experience. We’ll explore how creating cultures that facilitate a discovery of purpose for you and your employees is a motivating factor to do outstanding work. Through facilitated discussion and hands on learning, participants will develop a plan using a simple framework that will equip your team for success. This workshop begins with a deep analysis of current community partnership efforts and how those relate to the organization’s strategic plan and current satisfaction data. Once this baseline is established, facilitators from The Beryl Institute lead participants through a series of exercises to identify where to prioritize their efforts. Based on these priorities, participants and facilitators will utilize a patient experience landscape in order to pair known best practices with the current needs and opportunities. A final step in the workshop process is to use design theory exercises in order to ensure the PX Improvement Action Plans developed include the highest level of partnership innovation and customization, therefore meeting the specific needs of the organization while maximizing resources. Participants will end the day by co-designing a concrete set of steps to be implemented over the following 3 – 9 months. Note, for maximum impact, this workshop ideally follows an assessment of your current patient experience. In this full-day workshop, participants will gain insights on eight essential actions for organizations to embrace to be best positioned for experience improvement. These principles serve as aspirational and affirmative statements about where we as individuals, organizations and collectively, as the patient experience movement, should focus our efforts. This workshop will also share these eight qualities and actions consistently identified in The Beryl Institute’s member organizations most successful in their patient experience efforts. We work with organizations to provide customized advisory services and/or workshops to support organizational improvement in addressing the patient experience challenges and opportunities. Custom programs are tailored to your audience, incorporate your organization’s mission, vision and values and aim to positively impact and transform your organizational culture. Be prepared to challenge your thinking, explore new ideas, reignite your passion and build a plan of action around what matters in patient experience excellence to your organization. Complete the form below to request a speaking engagement from The Beryl Institute. If applicable, please select the workshop(s) you are interested in. Please provide any additional details regarding your inquiry.